The ability to communicate securely is needed for many network applications. Public key infrastructure (PKI) is the most extended solution to verify and confirm the identity of each party involved in any secure transaction and transfer trust over the network. One of the hardest tasks of a certification infrastructure is to manage revocation. Research on this topic has focused on the trade-offs that different revocation mechanisms offer. However, less effort has been paid to understand the benefits of improving the revocation policies. 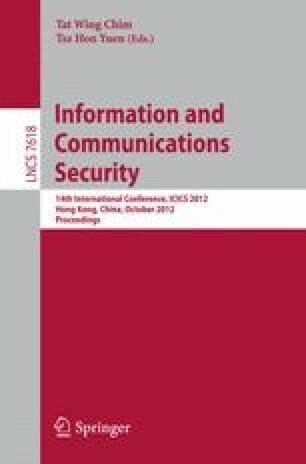 In this paper, we analyze the behavior of the oligopoly of certificate providers that issue digital certificates to clients facing identical independent risks. We found the prices in the equilibrium, and we proof that certificate providers that offer better revocation information are able to impose higher prices to their certificates without sacrificing market share in favor of the other oligarchs. In addition, we show that our model is able to explain the actual tendency of the SSL market where providers with worst QoS are suffering loses.